Follow along as Newsday's Al Iannazzone, Rod Boone and Mike Gavin provide live coverage of the 2015 NBA Draft at Barclays Center in Brooklyn. We are an hour away from one of the most highly-anticipated NBA Drafts in quite some time in these parts. Normally, the suspense revolves around which player might be the first pick in the draft. Tonight, the curiosity is more about who might go second…and third….and fourth…and fifth…and so on. It’s a deep draft and there have been many different variations of the potential top ten. 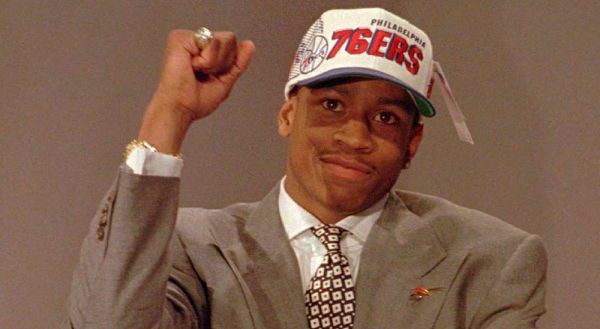 What is my prediction for the top five picks, you ask? Adding to the intrigue is that the Knicks actually have a lottery pick this year! That is assuming they don’t trade it away at the last minute. The Nets aren’t so lucky. They were forced to swap picks with the Hawks as part of the Joe Johnson trade. Naturally, the Hawks went on to have their best regular-season in franchise history, meaning the Nets have the 29th selection. 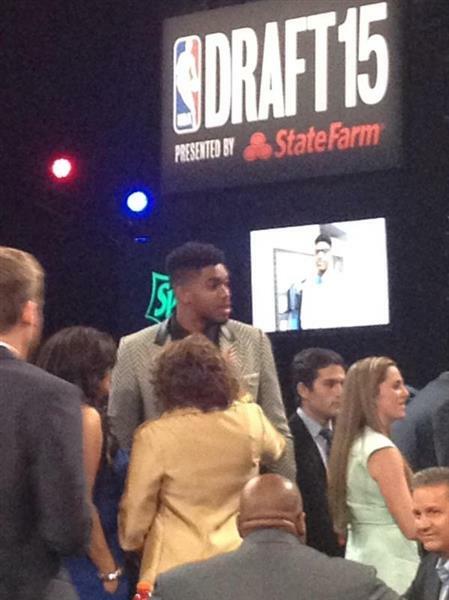 Reports have said that the Timberwolves have essentially told Towns that he will be the first pick. He is certainly more versatile on both ends of the floor than Okafor. 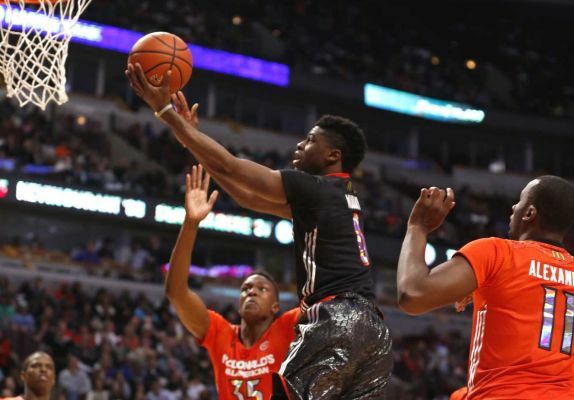 He is much better defensively, he's better on the boards, and he had more of a mid-range game. But Okafor's polished post-game is hard to pass on. I could see passing on him coming back to haunt Minnesota. 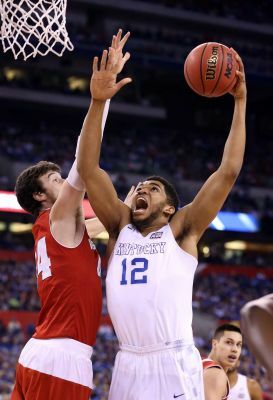 The Lakers also may pass on Okafor with the second pick. Reports have said that they are now interested in Russell. Would certainly form an interesting backcourt with Kobe Bryant. But I think it's just a smoke screen. 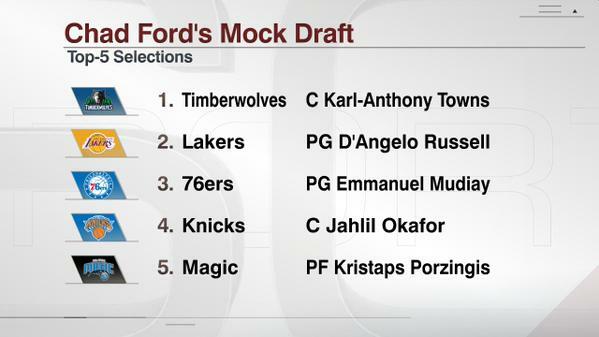 I think they end up going with Okafor. They haven't had that kind of luxury in the post since Shaq. Towns just used a selfie stick to take a photo of the players on stage. Who do you think will go No. 1? Heard one player #Nets are trying to move up to get is Kentucky's Devin Booker. Doesn't appear they have assets to get it done. We'll see. 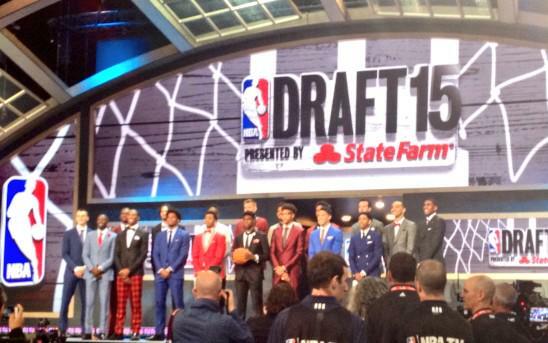 Here's every player since 1971 to be selected first overall in the NBA Draft. Who was a "hit," and who was a "miss"? NewsdayD'Angelo Russell says he wears No. 0 because that's how many people can guard him. The top picks in this draft -- some still teenagers -- likely will get a lot of money when they receiver their first paycheck. What do they plan on doing with all that dough? NewsdayImagine being a teenager and getting handed a six-figure check. 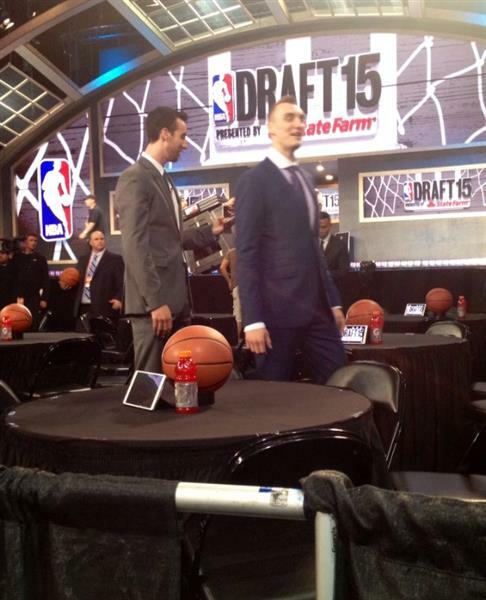 Wisconsin's #FrankKaminsky made an ebullient entrance, waving to friends and fans in crowd, at #NBADraft . 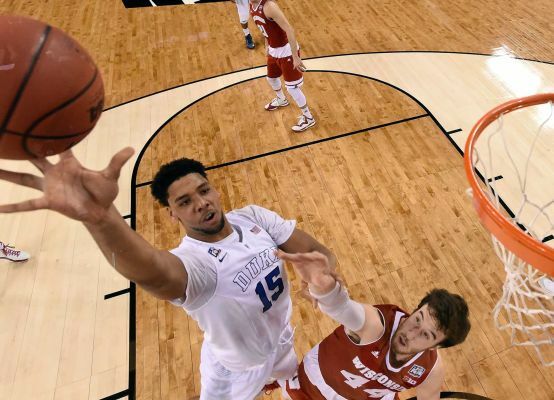 Chad Ford of #ESPN predicting Duke's #JahlilOkafor falls to #Knicks at No. 4. Huge if true. Can't defend, but sure can find hoop. #NBADraft . We have an #AdamSilver sighting to open #NBADraft2015 . 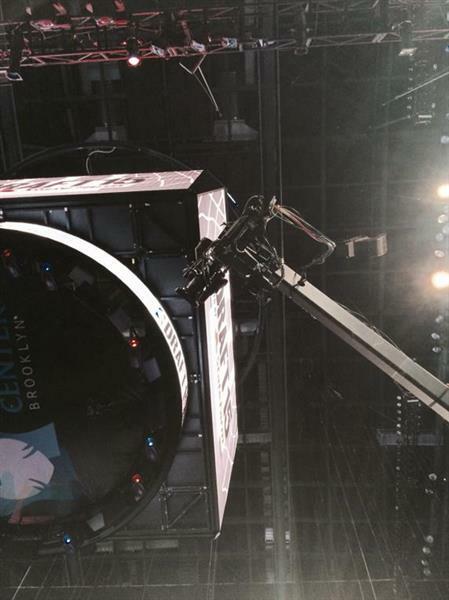 Barclays Center packed to rafters. Of course end behind stage is closed for #NBADraft . Are the Wolves really going to take every last second of this five minute window?